"Jennifer made our international transition from Paris to Chicago a dream. Thanks to her, we found the perfect apartment for our little family. Her knowledge of neighborhoods, things to do, and the Chicago market dispelled all doubts about leasing a place sight-unseen. She came on move-in day with treats and a warm smile. A great welcome to a great city! Thanks, Jennifer!" "Jen was unbelievable with helping us sell our condo. She went over and above by getting us in contact with reliable contractors to get the place in tip top shape before putting it up for sale. We not only got over asking price, but sold the condo in less than a week." "Excellent broker. Knowledgeable and easy to communicate with"
"Jennifer was incredible. She pays attention to detail and does everything she says she's going to do. I couldn't be more satisfied." "Jen is incredibly helpful, responsive, and dedicated. She not only helped me rent my condo, but worked with me every step of the way ensuring that everything was in order. Jen went above and beyond and I would have never managed without her. She is truly committed to ensuring that her clients needs are not just met, but that their expectations are exceeded." "Jennifer is excellent. A true rockstar. Couldn't have asked for a better realtor. No one we've worked with have been committed to helping clients and also being open and honest when evaluating a potential new home." "Jennifer was so amazing. She was incredibly helpful and was very good about answering all our questions! We found our home with her assistance and she made the whole process completely painless." "Jennifer was extremely helpful in finding my sister and I our new apartment. She found great properties for us to look at and was always willing to help in any way. I really appreciate all she did for us and would highly recommend her!" "Jennifer was fantastic throughout the entire selling process. She is knowledgeable, easy to work with and goes the extra mile. Bottom line... She made it easy. I highly recommend working with her." "Jennifer was great to work with. She was very responsive and exceeded my expectations. I am referring her to my friends and look forward to working with her in the future." "Jennifer Piet is a pleasure to work. She remains positive and encouraging throughout the experience and is quick with suggestions, encouragement and good advise. She understand well the market and the incentives to bring deals to a close. We have come to consider her part of the family and look forward to future opportunities." "Jennifer worked hard, communicated with us at all times and went out of her way to rent our condo! Very professional and punctual." "Thank you so much for all of your help and guidance during this whole process. I know I wouldn't be in this position with such a wonderful house without you. It was great being able to work with you and Tony. ---- Bill"
"Thank you so much for helping Josh and I find our first home in Chicago! We are excited for the move and we will love the condo! We will have to have you over for drinks and "the view" when we are settled. Thank you soo much! Josh & Andrea"
"We loved working with Jenni! We felt comfortable with her and were able to discuss what we wanted and got it in the end." "Jenni is so sweet and nice, but she is real shark. You definitely want Jenni on your side. She did an amazing job negotiating our home in Forest Glenn for us and putting together a tricky deal." "Jennifer is a pro. She listened to what we liked and was able to find us the perfect home. I will recommend Jennifer to all of my friends and family." "Jen went above and beyond in every aspect of our house buying process. As first time buyers, we had a lot of questions, and Jen provided immediate and well-informed answers to all of them. She made house hunting a fun learning experience, and we couldn't be happier with the end result!" "Jennifer is professional, prompt and efficient. We love working with her because she makes everything so easy. She has helped us for several years and the quality of service improves each time. She is very knowledgeable and has our complete trust." "I would absolutely recommend Jennifer to any of my friends who need a strong broker. She was responsive and knowledgeable. She was a pleasure to work with." "Jennifer was wonderful to work with and from the very beginning, she was organized, understood what we wanted and didn't want and streamlined the entire process. She even was helpful in thinking of things that we might not have known about and was always looking out for us. Jennifer is nice, patient, detail oriented and made us feel comfortable every step of the way. I also want to say that she is a great business woman and handled the entire process in terms providing us with information and guiding us through filling out forms in a very professional way. It was a pleasure to work with her and I will definitely be recommending her to others!" "As a first-time buyer, Jennifer Piet was extremely helpful throughout the process. I had a lot of questions during the entire process, and she was always patient and understanding. She made me feel comfortable during my search for a new home." "Jenni is an excellent and thoughtful agent. In addition to being very knowledgeable and thorough, she is highly client minded and makes her clients' satisfaction her number one priority. Jenni would point out flaws in properties that we overlooked when many other agents would have simply tried to make the sale. She is trustworthy and diligent and we would have no problems recommending her to anyone." "Jennifer is the most thorough and hardest working broker I have used as both a buyer and a seller. Her knowledge streteches from Chicago to the suburbs, which allows her to give sound advice to both buyers and sellers. Her network of other real estate related professionals (e.g. lenders, attorneys, and ispectors) are also top notch. I would not hesitate to call Jennifer again for all of my future residential real estate needs. To top it all off, Jennifer is very kind and easy to work with." "Jenni rocks. 'Nuff said. Would work with her again and am already referring her out to others." "Jenni worked with us every step of the way, providing much needed advice and direction when we didn't know our next move. In this difficult market, Jenni made sure that we were priced and marketed properly, in an effort to maximize our exposure. I would not hesitate to recommend Jenni as a Realtor to any of our friends or family." "Jennifer was personable, a pleasure to work with. Prospective buyers were brought to the table, and a sale was consumated. Jennifer was given a good product and knew what to do with it. I recommended her professional services to a good friend; she now has listed their property." "Jen saved us! She knows the market, knows how to price a house, and knows how to get it sold. She was with us every step of the way and was deeply protective of OUR interests. She wont give up until the sale is closed. A real fighter for her clients!" "I met Jenni at an open house of another property and although I wasn't interested in that specific property, she had a great receiving personality. In short, I felt comfortable with her from the get-go. We had tried setting up with other real estate agents but she was the one who took the most initative and time - from the getting to know you stage. She knows what she's doing and she catered to our needs. She was attentive, responsible and moved fast. It was great working with her and I would absolutely recommend her to friends/family. Very knowledgeable and always had our best interests in mind." "Dear Jenni, Thank You so much for driving me around and finding us an amazing apartment! Thank You also for letting us stay at your place. You're always offering to help me and I really appreciate your generosity. You are a great friend and I am so lucky to have you in my life." 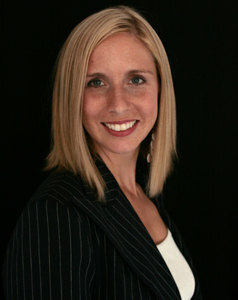 "Jenni has been a pleasure to work with throughout our many dealings over the past several years. She helped list our condo for sale and advised us how to proceed when the real estate market took a turn for the worse. When we couldn't sell our condo without losing a large amount of money, she advised us to rent the condo and we have been doing so for the past three years. She assisted us in listing the condo rental as well as giving us advise when a sublease came into play. It goes without saying that we couldn't have done any of this without Jenni. I would highly recommend Jenny's services to anyone who is in the market to buy, sell or even rent a property." "Jenni did a great job leasing my unit in a quick manner. I gave her top scores across the board." "Jennifer, I wanted to personally write and congratulate you on the successful closing that just ook place at 565 W Quincy Steert, #1209. We were very pleased to have the opportunity to work with you and appreciate your assistance on keeping the transition smooth. We look forward to closing many more transactions with you!" "jenny piet thank you so so much your awesome"
"Jenni was fantastic. As a first time home-buyer, it was so important to have someone like Jenni who I could trust to represent my best interests. She was always easy to reach, and did a terrific job finding us properties to see that matched our needs without wasting our time on those that wouldn't be a fit. She helped us navigate the process and make smart, informed decisions every step of the way. I would enthusiastically recommend Jenni to anyone thinking of buying a home." "Jenny has been a pleasure to work with throughout our many dealings over the past several years. She helped list our condo for sale and advised us how to proceed when the real estate market took a turn for the worse. When we couldn't sell our condo without losing a large amount of money, she advised us to rent the condo and we have been doing so for the past three years. She assisted us in listing the condo rental as well as giving us advise when a sublease came into play. It goes without saying that we couldn't have done any of this without Jenny. I would highly recommend Jenny's services to anyone who is in the market to buy, sell or even rent a property.-BJ"
"Jennifer was personable, a pleasure to work with. Prospective buyers were brought to the table, and a sale was consumated. jennifer was given a good product and knew what to do with it. I recommended her professional services to to a good friend; she now has listed their property." "Did a great job leasing up the unit in a quick manner."